Luminaires should not be placed in the part of the roof corresponding to a 4m circle around the basket to avoid glare. 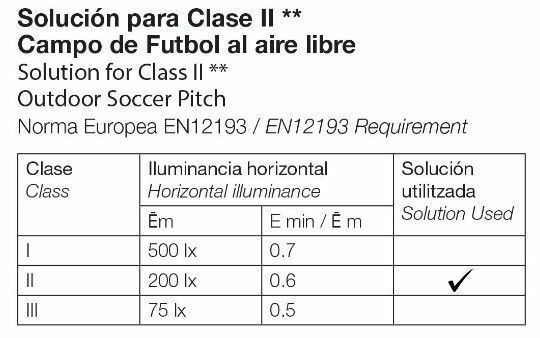 For color TV retransmissions and film recording, a vertical illuminance level is required based on the speed of the action and the size of the object according to the UNE-EN 12193 standard corresponding to group B (to which basketball belongs). 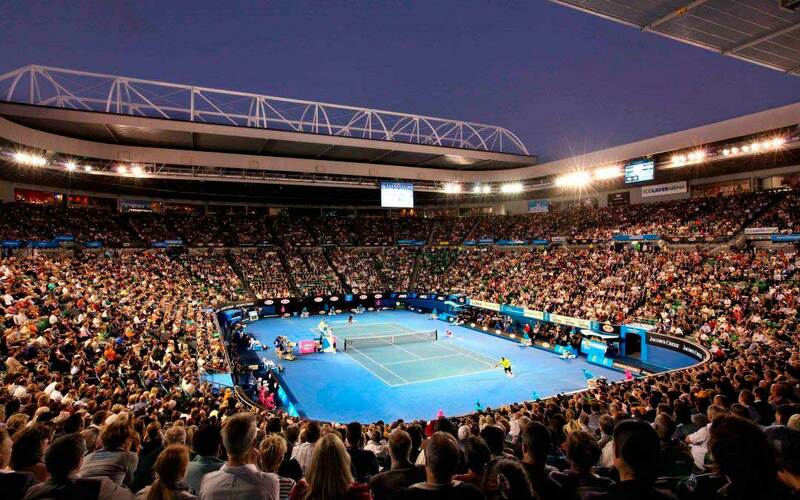 On open air courts, the projectors will be arranged externally to the track, at a minimum height from the ground of 6m. 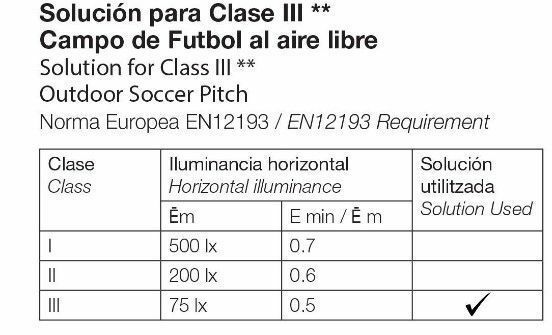 No luminaire should be placed in the area of ​​the roof that is located on the surface of the runway to avoid glare. For color TV retransmissions and film recording, a vertical luminance level of at least 1000 lux is required, however this value may increase with the distance from the camera to the object. No luminaire should be placed on the part of the ceiling that is directly above the rectangle of the field extended 3 m behind the bottom lines to avoid glare. For color TV retransmissions and film recording a vertical light level of at least 800 lux is required, however this value may increase with the distance from the camera to the object. For more information you should consult the cited standard.